Home / Health / Does alcohol cause acne? Yes, drinking alcohol can cause acne (if you are already suffering from acne). There are many reasons why this happening and fortunately there are ways to minimize the effect of alcohol on acne. If you notice that pimples become more aggressive after drinking alcohol then this article will help you understand why this is happening and what to do about it. Alcohol consumption stimulates the production of testosterone, a steroid hormone which in turn stimulates the sebaceous gland that is a major cause of acne. When drinking alcohol the blood vessels get bigger and the skin becomes red or flushed. This is known as vasodilator and is also responsible for the hangover after a night drinking (You can also read how to get rid of a hangover), the headache in the morning and inflammation which makes pimples come to the surface. Alcohol reduces the power of the immune system and this makes it difficult to get rid of bacteria in the body that also cause acne. Drinking alcohol regularly can also harm the liver which is responsible (among other things) for removing harmful toxins from the body. Sugar in some alcoholic drinks leads to inflammation and acne break out. How to minimize the effect of alcohol on acne? Wash your face with hot water – heat and moisture soften the skin and improves the flow of blood beneath the skin. Drink a cup of coffee – Drinking coffee (caffeine) has the effect of bringing blood vessels to their normal size and thus the effects of acne are reduced. See also Coffee myths and truths. Please note that caffeine can also aggravate acne and should be consumed in moderation. While it is suitable after drinking alcohol caffeine should be avoided in normal situations (if you are already suffering from acne and noticed that caffeine makes the situation worse). Make sure your body is hydrated before consuming alcohol – Dehydration among other things is also bad for the skin. Most probably you are not drinking the recommended amount of water per day and alcohol makes the situation even worse. Make sure that you drink a lot of water before, during and after drinking alcohol to keep toxins away from your body and skin. Don’t drink alcohol when you are under stress. The combination of alcohol and stress is very bad for people with acne. Fresh air and sunshine – Fresh air and sunshine create Vitamin D, a vitamin necessary for a healthy skin. After a night out try to walk for 10 minutes in the sun to refresh your deposits of vitamin D.
Please note that if you do not have acne then most likely you will not get acne by drinking alcohol. 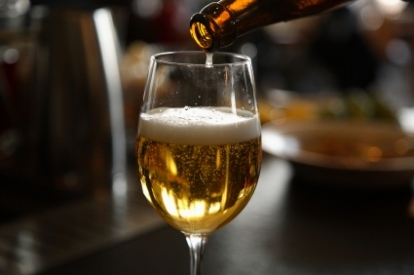 The effects of alcohol on acne are visible for people who are already suffering from acne. Also, not all people are affected the same way by alcohol. Some people notice new pimples after a couple of drinks while others are not affected at all. Nevertheless moderation is the key. If you drink alcohol in moderation and always ensuring that you keep your body hydrated at all times you minimize the risk of exaggerating acne. The info provided about alcohol in this article is a bit wrong , first thing that alcohol does not increases the level of testosterone in your body but actually it decreases testosterone and zinc level in body. And it has a drying effect on skin. though i m not sure about its effect on acne. Sandeep hi and thank you for the comment. Alcohol can increase testosterone levels at least temporary (http://alcoholism.about.com/cs/abuse/l/blacer030117.htm) and this can make acne effects more aggressive. It’s a debatable issue though and there is research to support both views. The author was indeed correct. Acne is aggrivated and stimulated by the excessive oil glands that are activated bt the high levels of testosterone. Though not scientifically proven, private case studies are in favor of this theory.